The people of Douz are naturally smooth-tongued poets and are extremely sensitive to the words and its aesthetics and rhythms. The International Festival of Popular Poetry is a perfect reflection of the bond that ties the people of Douz to the art of poetry. 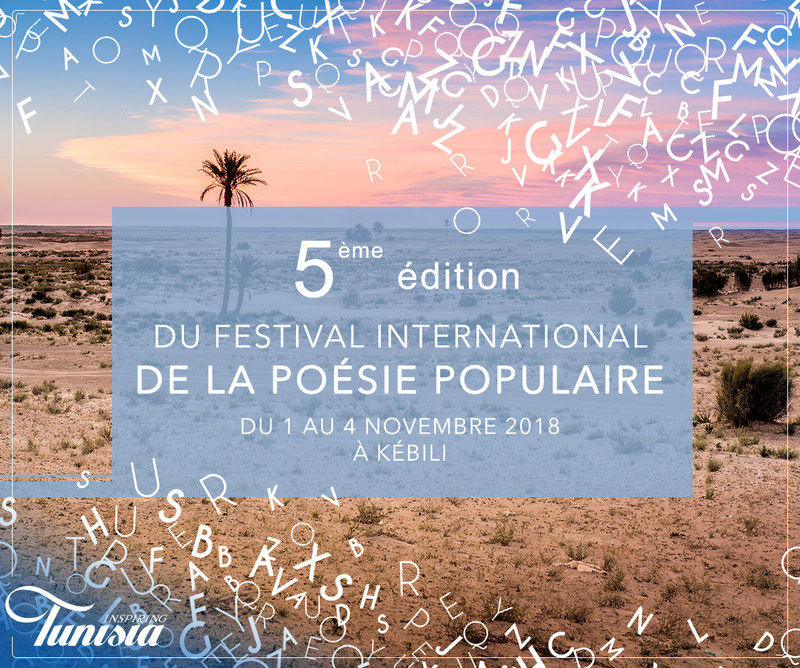 The 5th edition of the festival will take place in Douz from the 1st to the 4th of November 2018. A particularly diverse program. of Poetry competitions for adults and children, conferences, musical evenings and workshops, will provide festival attendees with a wide choice of activities. Poets from various cultural backgrounds and different origins (Libya, Algeria, Morocco, Egypt, Iraq, Sudan, Austria, Spain, France, Italy, Japan, Lebanon … ) will come to Douz in quest of inspiration and to recite poetic texts wrapped in metaphor, simile and metonymy. Do not miss this unique opportunity to discover the magical Sahara of Douz with its own stunning views while enjoying the beautifully crafted lyrics that will literally give you goosebumps.